Vintage Mosaic Ribbon, 100% Rayon, 1/8" wide, 20 yard packages Navy, Black, Brown. Saddle Stitch Ribbons, 20 yard package, White stitch on Lt Pink, Lt blue, Yellow, Navy, or Red. Tri Color Ribbons, 20yard package, Red/White/Red on Black. Basket Weave Rayon Ribbons, 20 yard package, White woven pattern on Lt Pink, Lt Blue, Yellow, Red, Mint, Lt Rose, Old Rose. Three Waves Ribbons, 20 yard package, White on Black. Single stitch, 20 yard package, Black with a light tan stripe. Zig Zag, 20 yard package, Navy, Black, Brown. This is a narrow rayon ribbon with a chain pattern in the center, 1/8" wide, 20 yard package, Red, Brown, Navy, Black. Vintage, 1/4", Flat braid, It is Aurora Borealis with gold chain. 3 yd cuts. 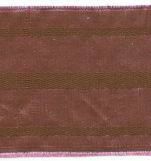 This is a vintage French Ribbon, 79% Rayon, 21% syntheic, 1/4" wide, 2 yard cuts. 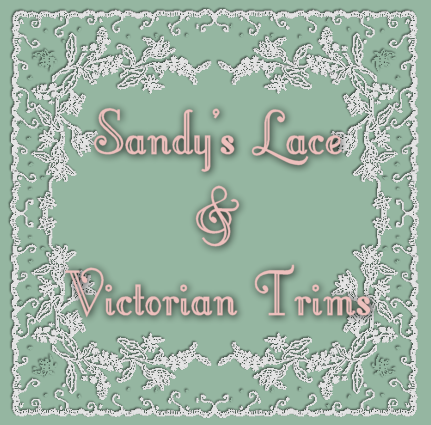 This is a great French ribbon, 1" wide, 2 yard cuts.